Blowing up the Milo tin ! What? What has that got to do with history? Well a lot more than you think but you’ll have to be patient. I have to set the scene, explain the background, then we’ll get to the blowing up bit. The big problem is where to start. I think it has to start with my darling late Dad. He would have been 95 tomorrow – 13th December 2017. I think about my Dad often – and ‘chat’ to him regularly. He died far too young – back in 1989 – but in my mind he is as alive today as way back when those Milo tins were getting blown up. But I digress – a bad habit I have. My brother and I had a totally decadent upbringing – Dad was Production Manager of Peter’s Ice Cream and we were the official taste testers of EVERYTHING that came out of that factory. There’s a special photo of Fussy and me in an earlier blog. 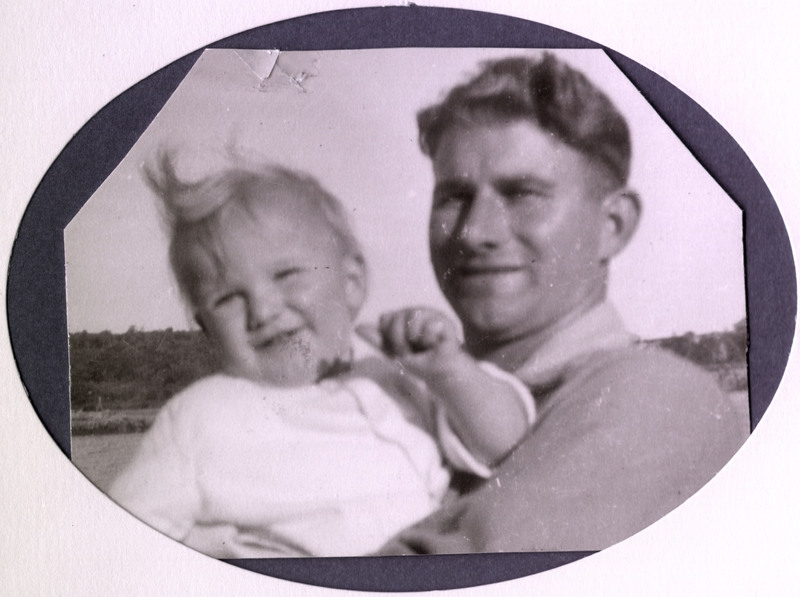 Fussy is my brother – two years older – and he was called Fussy because our surname was Fussen (French) but as a little tacker I couldn’t say ‘Graham’ – Fussy was MUCH easier to say! And more than 60 years later he’s still called Fussy! And of course he answers to it. See – I said I have a bad habit of digressing! Back to Peter’s Ice Cream. 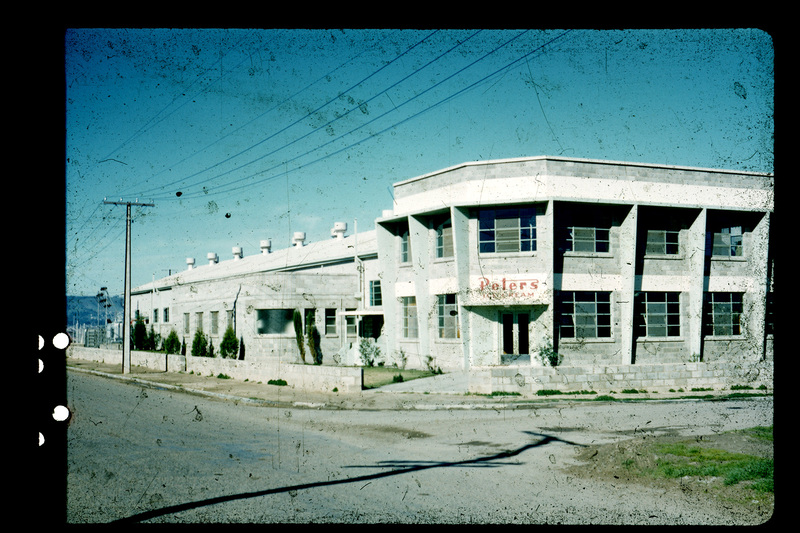 That’s the factory in Adelaide although Dad started at Peter’s in Taree, then Grafton before the family moved to Adelaide. The two-storey part at the front was Dad’s floor – his office, laboratory, cool room, and a view and access to the factory floor below. Getting back to that decadent upbringing – Fussy and I would get home from school, grab our homework and run around to the factory and upstairs to Dad’s area. What new exciting concoction had Dad created that he needed an honest opinion on? Of course the BIG one was the Drumstick – yes, our Dad created Drumsticks. And lemonade ice blocks and all sorts of other things. Every kid’s fantasy! And of course the workers at the factory also believed in spoiling the boss’s kids. Can you image a birthday party when a team of men jogged around from the factory with a special ice cream cake for me. Remember the little plastic dolls with a fancy ice cream skirt? Well, the reason for the special trip from the factory – that doll was bigger than ME – I think it was my sixth birthday. There I go – digressing again. Drumsticks – some years ago I met my brother in Mount Gambier. 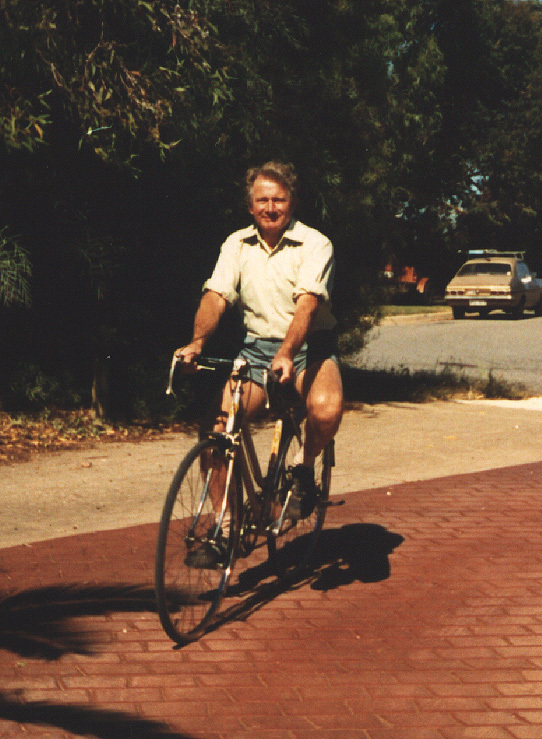 He lived in Adelaide, and still does, and I was living in Ocean Grove at the time – Mount Gambier was about half way and he was there at a Rotary Conference. He stayed on so we could have a bit of time together. We went down to Port Macdonnell doing the tourist bit. We remembered we had been there on a holiday with Mum and Dad when we were quite young. We were about to walk out on the very long jetty when Fussy yelled … WAIT! Why? He ran across the road and bought two drumsticks – we couldn’t reminisce about Dad without having a Drumstick! In the early 60s we moved from the house around the corner from the factory to the house that Dad built – and he really did build most of it. He hired the tradesmen and worked side-by-side with them every weekend until we were able to move into our first ‘real’ home in Adelaide. OK – I’m getting to the Milo tin but this is an important part of it. It was a two-storey house – my bedroom was the dormer window on the left and Fussy was in the one on the right. We had our ‘wardrobes’ in the eaves of the roof and for two little tackers it was so easy to crawl from one room to the other via the built-in-wardrobes. We rigged up a string on hooks just inside each cupboard door and attached a small cardboard letter box which we could send to and fro simply by pulling the right string. And of course we rigged up a small bell to signal when there was mail. Just like on your computer these days – You’ve got mail! Back then there weren’t as many obstacles in the front yard and there was no roller door blocking the driveway – it was important to be able to run quickly from the back yard to the front yard. YES – this is ALL relevant! Although we’d moved further away from the factory we were still regular visitors to the tasting laboratory a number of times each week. Dad was also the ‘ice-cream’ man for our school fetes. He would pack up the big green canvas bags with the obligatory dry ice in the bottom. The walls of the green bags were a good four inches thick – heavy insulation. On top of the dry ice was a thick wad of newspaper, then the bag was chock-a-block full of Dixie Cups (ice-creams) to be sold at the school fetes. Dad had a trailer that was loaded up at the factory with a number of canvas bags that he would then deliver to the schools. He’d also collect the bags to go back to the factory and sometimes there were a number at home in the carport or on the back verandah. The ice cream was all gone but that dry-ice lasted forever. OK – I’M GETTING THERE! Because we spent so much time roaming around the factory, in and out of the freezer rooms, and helping Dad load up the big green canvas bags, it was essential that we were taught about the dangers of dry-ice and how to handle it without burning the skin off our fingers. OK – ARE YOU READY? Back in the 60s we didn’t have computers and the electronic games etc that are so prevalent today. We made our own fun and games and unless it was bucketting down we spent weekends outside. The neighbourhood kids gathered at our place because we had the best game – and their parents were happy – as long as they could hear the explosions they knew where their kids were! Our game would be deemed too dangerous – no-one EVER got hurt! It was SO MUCH FUN and we got HEAPS OF EXERCISE. This is how the game worked. Only Fussy and I could set up the ‘bomb’ as we were trainined in the use of dry-ice. We knew exactly how much water to put in the milo tin and exactly what size piece of dry-ice. We pounded the lid on so that only a really good explosion would blow it off. We also had a little mound of sand to tilt the Milo tin at the right angle. This was all done in the back yard so all the kids in the front yard couldn’t see what we were doing. Then we ran like blazes to the front yard (with no roller door blocking our path), and then we waited, and waited, and waited, and then BANG. 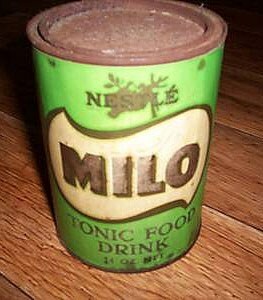 That’s why it wouldn’t work these days – the Milo tin was STRONG so that only the lid blew off and the tin stayed intact. The lid went flying up in the air, OVER the two-storey house, and into the waiting arms of the excited mob of kids in the front yard. The winner was the one who caught or grabbed the lid first. Lots of cheering and shouting. And then we did it all over again … and AGAIN, and AGAIN, and AGAIN. We never tired of blowing up that old Milo tin. We sometimes stopped for lunch – a picnic lunch that Mum or one of the other mothers supplied – then it was back to blowing up the Milo tin. All the other kids understood that you needed special training to set up the ‘bomb’. There were never arguments about it, just the excitement of waiting to see the lid come flying over the roof of the house. By the end of the day we were exhausted but happy and safe. The explosions stopped and the other Mum’s knew their little darlings were on their way home. Now do you understand why Dad’s birthday tomorrow reminded me of blowing up Milo tins? Oh, and of course tomorrow I will be eating a Drumstick and ‘chatting’ with Dad. And YES – this is all important history that should be recorded. These days I have diabetes but one of the first things I worked through with my Diabetes Educator was how I could eat an occasional Drumstick without causing havoc with my blood sugar levels. It’s a bit like making a toast with Champagne or Whiskey – in our family we make a toast with Drumsticks! Happy Birthday Dad – love you lots. Ask a librarian – it’s wonderful! 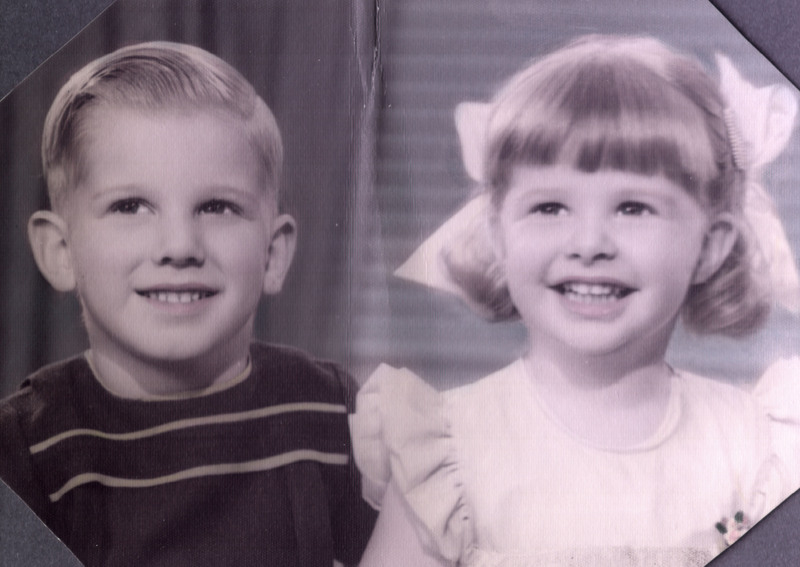 I have just had THE most exciting day and it’s really all about Social Media, Blogs, and research and this photo from about 1955 of me and my brother in Grafton, New South Wales. I’ve used the “Ask a Librarian” service before – State Library of New South Wales, State Library of Victoria and National Library of Australia to mention a few. I don’t over-use it but there are times when it is the right option. It all started here when I posted the Blog yesterday about no ice cream on Sundays! I mentioned that ice cream was part of my life. 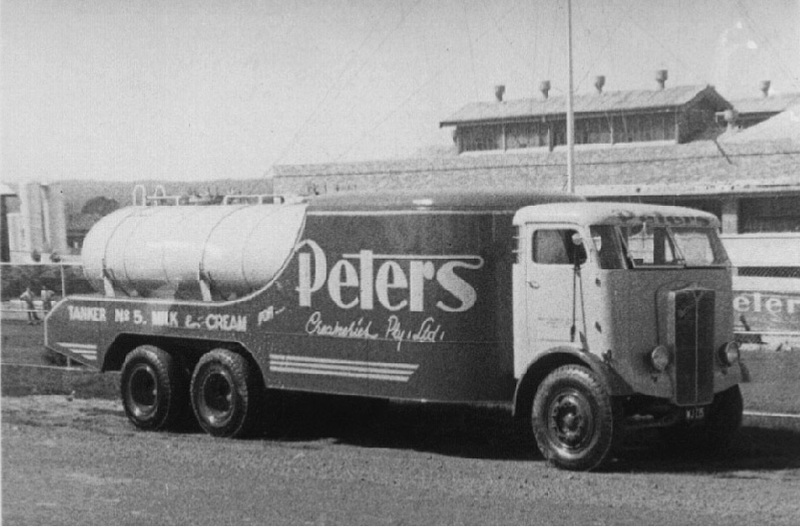 Overnight I woke up thinking about ice cream and Grafton where my Dad worked at the Peter’s Ice Cream factory before we ended up transferring to Adelaide. The one gap in my own life – I didn’t know where we lived in Grafton – but you can read all about that on my other blog. Needless to say Grafton and Ice Cream were at the forefront of my mind this morning and I was determined to find the answer. I decided that Pluto was a different angle that just might work. 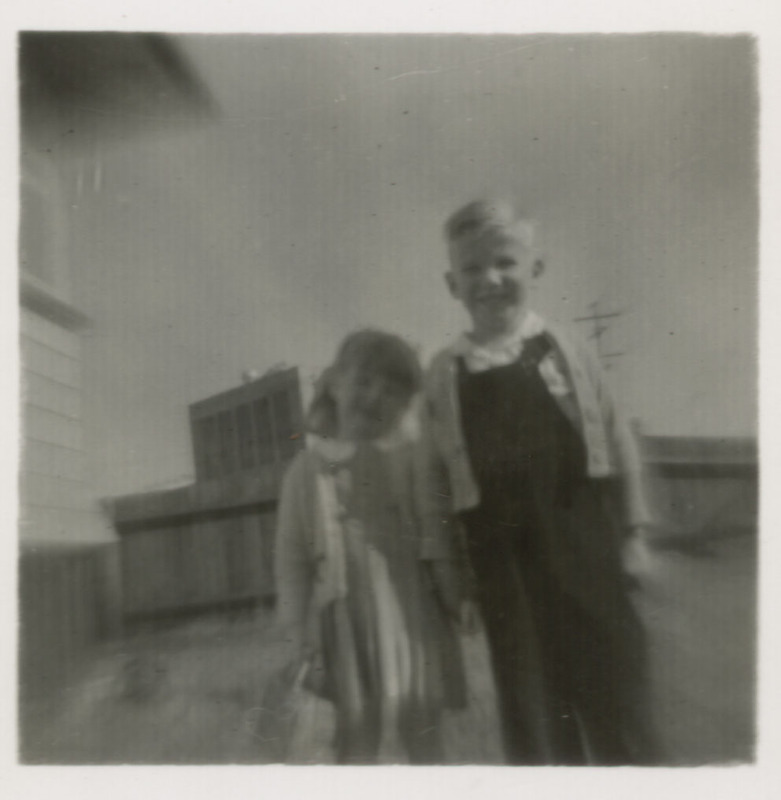 Then in the process of looking for photos of Pluto I found the photo above – me and my brother in what MIGHT have been our house but with a building in the background that looked like old photos I had found of the Peter’s Ice Cream factory in Grafton. That’s when I decided to try “Ask a librarian” at the State Library of New South Wales. I wasn’t expecting an answer for about a week but the reply arrived this afternoon. Why am I babbling on about it here? Because I’m so excited I needed to share it with some of my friends and followers. Did “Ask a librarian” work? You bet it did – absolutely wonderful. 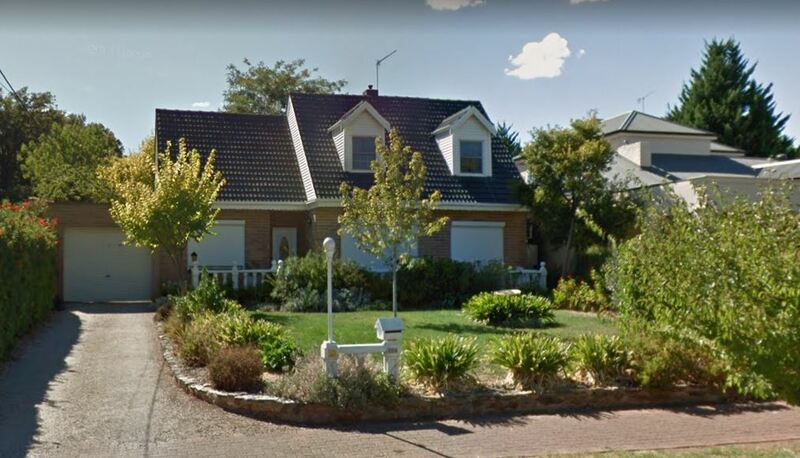 They found an address in the electoral roll for me – and just have a look at the Google Maps street view of the house where we lived and compare it with the photo above! Now you understand why I’m so excited! Yippee … thank you Pluto, Blogs, and “Ask a librarian”! No Ice Cream on Sundays! Some things just stop you in your tracks – especially with something so dear to my heart. 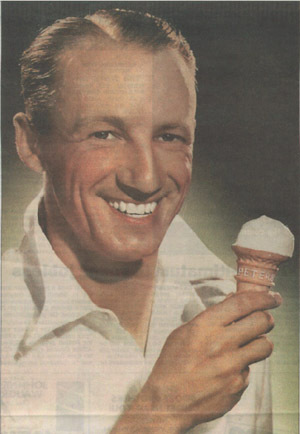 My late Dad was Production Manager at Peter’s Ice Cream and amongst other treats he was the inventor of the Drumstick. This council decision followed complaints from Sunday school authorities and “other people”. I have trouble comprehending this – I grew up surrounded by ice cream! 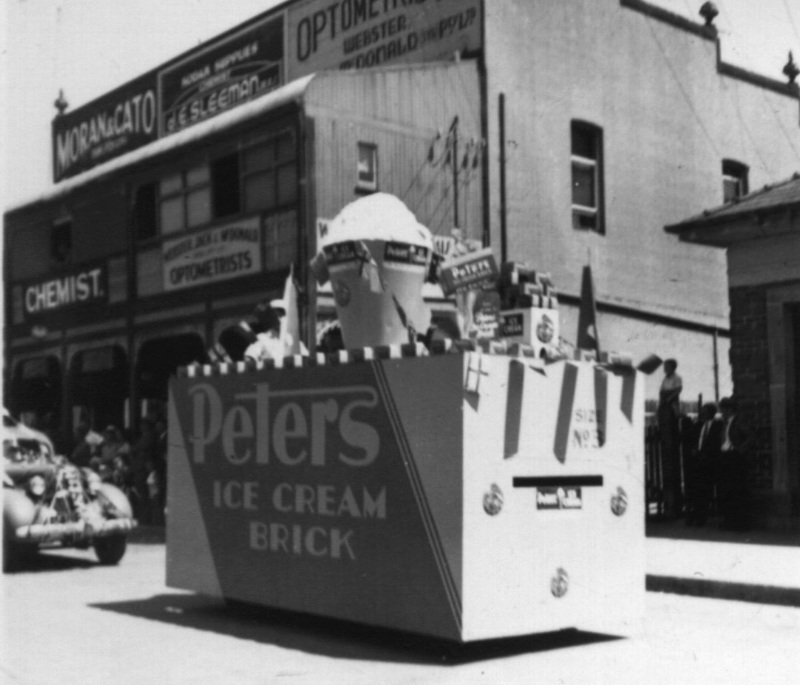 The photo above is my Dad driving the “ice cream block” in a parade! You can read more about him in my blog ‘History: the men in my life’. And you’ll find even more on my Memories Pinterest board. The Men in My Life ! My Dad, John Joseph FUSSEN was born in 1922 – that’s him with me in 1953 (top left) and just a couple of weeks before he died in 1989 (lower left). 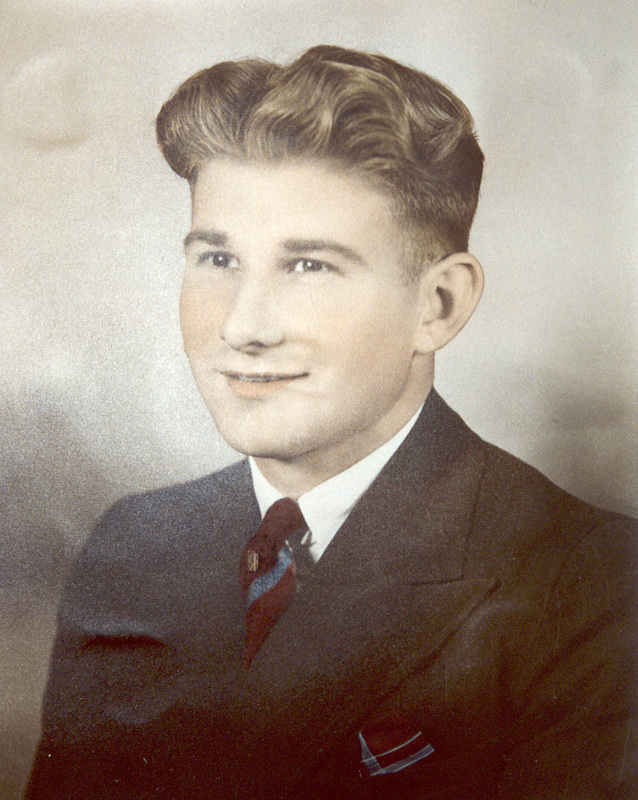 Dad was production manager of Peter’s Ice Cream and the creator of the Drumstick. 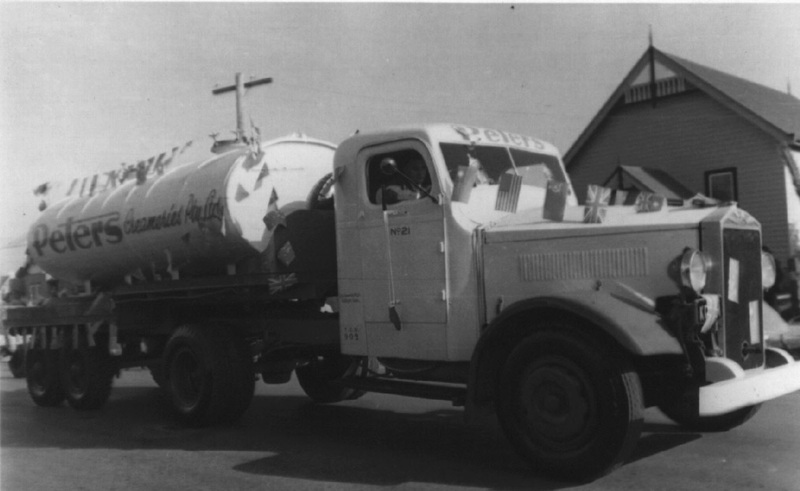 He was also the driver of the Peter’s vehicles (below) in various parades. Dad taught me to sail, build furniture and keep my old car finely tuned. 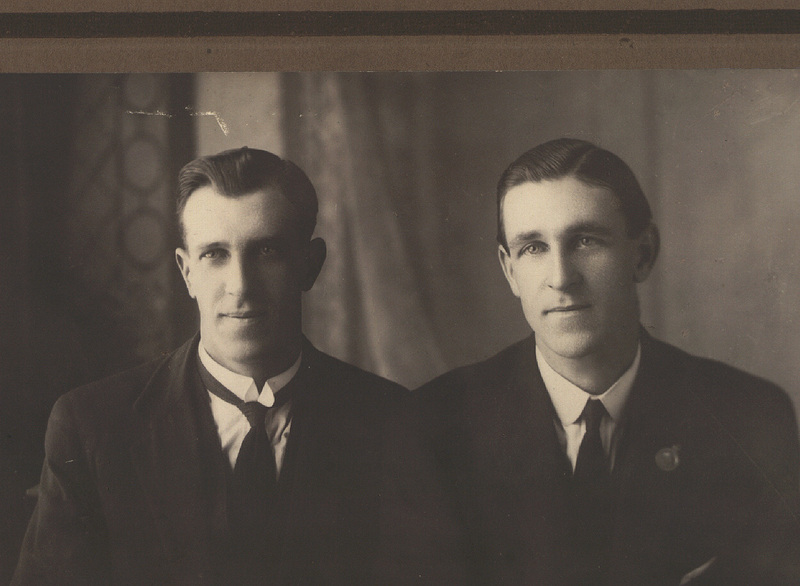 My maternal grandfather, Harry NIALL (top right), and great uncle James NIALL (on the right), also played an important part in my education. Uncle Jim taught me to fish and to ask questions, and Grandpa taught me to love cricket. I can’t claim the great Don Bradman (lower right) as family but my grandfather would whisper in awe when he mentioned his name. You can imagine my great delight when I was given this advertisement he did for Peter’s Ice Cream! And I was so proud when my brother produced the video tribute to the great man. Grandpa would have been over the moon! My brother (above) taught me about the importance of older brothers. As kids, we were forever fighting but if I ever needed help he was always there. As we grew older, we stopped fighting, but he’s still there if I ever need him!